S has really started paying attention to the animals. She loves watching the cat, especially if you’re holding (or nursing) her on the couch and the cat walks across the back of the couch. These photos don’t even begin to show how cute it was when S rolled herself over onto Izzie’s leg. 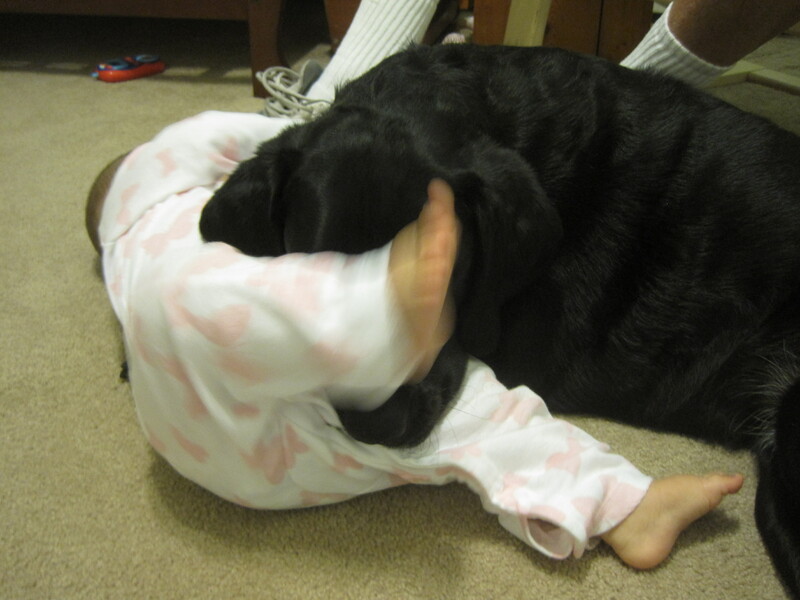 Izzie is so gentle, but it still sometimes amazes me that I let this 60lb animal cuddle up to my baby daughter. It helps that Izzie likes the smell of baby poop and spit up – yuck! This entry was posted in Babies, Izzie, Miss S.. Bookmark the permalink.